The aim of this matched betting blog is to show how easy it is for anyone to do matched betting. It’s ideal for anyone with a little spare time. So whether you work full or part time, you’re at home with your children, studying or retired, it’s easy to top up your income. I’ve recently introduced a monthly feature to give you the chance to meet some of the different people who do matched betting. This month I’m delighted to introduce Alison from Thrifty Mum. 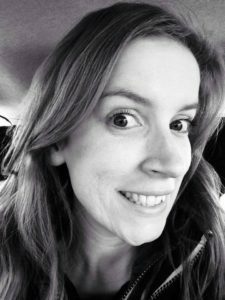 Alison fits in matched betting around her two toddlers. Hi. I’m a mum to two cheeky toddlers. My daughter is nearly three and my son is one. Keeping me busy all the time. I work part-time on weekends and do matched betting and other side hustles during the week to top up my income. I’m lucky enough to spend my days watching my babies grow up and not be stuck at work all week. HOW DID YOU HEAR ABOUT MATCHED BETTING AND WHAT DID YOU THINK? I can’t remember where I first heard about it, I think I came across a blog about it. I did so much research on it before I had the courage to just give it a go. I’m so glad I did as it’s good fun as well as profitable. WHEN DID YOU START MATCHED BETTING? I started at the beginning of this year but really got stuck into it in March. I then made a real effort to spend a few hours a week matched betting. It’s perfect because you can fit it in between looking after the kids. I normally spend a couple of evenings a week doing it or if they both nap at the same time during the day. HOW MUCH TIME DO YOU SPEND MATCHED BETTING? I only do it a couple of evenings a week but want to up this so I can start earning even more. WHAT ARE YOU DOING WITH THE MONEY YOU’RE MAKING MATCHED BETTING? At the moment, nothing! It’s all been going back into the pot. Although my pot is getting a lot larger now so will start to “pay myself” very soon. DO YOU HAVE ANY ADVICE FOR PEOPLE WHO MIGHT BE THINKING ABOUT STARTING MATCHED BETTING? Do your research but then just go for it! Ask for help if you need to but stick with it. It’s hard at first when you don’t have a lot of money to play with but this soon grows. That’s when the fun starts. DO YOU WANT TO FEATURE ON MY BLOG? I’m looking forward to introducing you to a new matched better next month. If you’d like to feature then please do comment below. You can also email (info@matchedbettingmum.com) or contact me via Twitter or Facebook. I’d love to hear from you!